If you're a football expert, great, this is your day. But for everyone else who feels sidelined when the conversation turns to receiving yards and pocket passing, here are a few good talking points for this afternoon's Super Bowl party. • Isn't that crazy how the coaches are brothers? The Ravens' Harbaugh is 15 months older — must have been a super competitive household when they were growing up. • Remember how the Superdome, after Hurricane Katrina, was a big last-resort shelter for everyone who was homeless and stranded? The whole city's not recovered yet, though. • Did you see the Puppy Bowl? So adorable. • Beyonce admitted she lip-synced at President Obama's inauguration, but she says her halftime performance is going to be completely real. Do you think the rumors of an onstage Destiny's Child reunion are true? • Apparently the ads this year are going to have lots of wild animals, oblivious dudes and celebrities in packs. Remember a couple years ago when pretty much every commercial had a chimp? 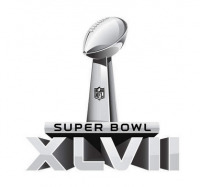 • Did you know people in China watch the Super Bowl now? Apparently they're trying to make it a thing there, since they're running out of new viewers in America. • Americans are going to eat 1.23 billion chicken wings today, can you believe it? It's less than last year, though, because of the drought. • Speaking of beer, have you tried No-Li's new imperial stout? • Can you imagine actually making one of those outrageous snack-food replicas of football stadiums? It's just so [disgusting/delicious].